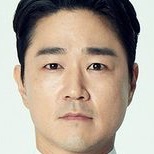 Yang Jung-Kook (Choi Si-Won) is a veteran conman, but he has never been arrested. One day, his girlfriend suddenly runs off with the money they were going to use for their marriage. Yang Jung-Kook is extremely upset and he goes out to drink. 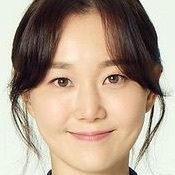 He meets Kim Mi-Young (Lee Yoo-Young). She is going through a hard time herself because of her boyfriend’s cheating ways. Yang Jung-Kook tells her that he runs a business and Kim Mi-Young tells him that she works for a small company. Kim Mi-Young is actually a detective. They find comfort with each other and they develop a relationship romantically. On their wedding day, Kim Mi-Young reveals to Yang Jung-Kook that she is actually a detective. Meanwhile, Park Hoo-Ja (Kim Min-Jung) is a mysterious woman. She runs a private loan business that she inherited from her father. Her father was swindled by Yang Jung-Kook. 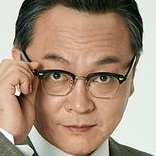 Park Hoo-Ja finds Yang Jung-Kook and blackmails him into running for a national assembly seat. First script reading took place December, 2018 at Gangchon, Gyeonggi Province, South Korea.